We are Vom Ragnar, One of the best German Shepherd breeder offering a registered of AKC, IPO, and Schutzhund German Shepherd litters of puppies for sale from high-quality German Shepherd pedigrees. Our main goal at Vom Ragnar Kennels is to produce the best German Shepherd litters of puppies for sale in the US or as much in the world. Breeding top West German Show Line German Shepherds is number one in producing high-quality german shepherd puppies. 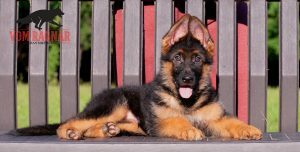 As a German Shepherd dog breeder requires breeding high-quality German Shepherds from some of the top-rated German Shepherds in Germany. We strive to produce with the high-quality breed of our German Shepherd puppies for sale which means breeding with top-rated Champion German Shepherd bloodline of some of the best German Shepherds in the world. 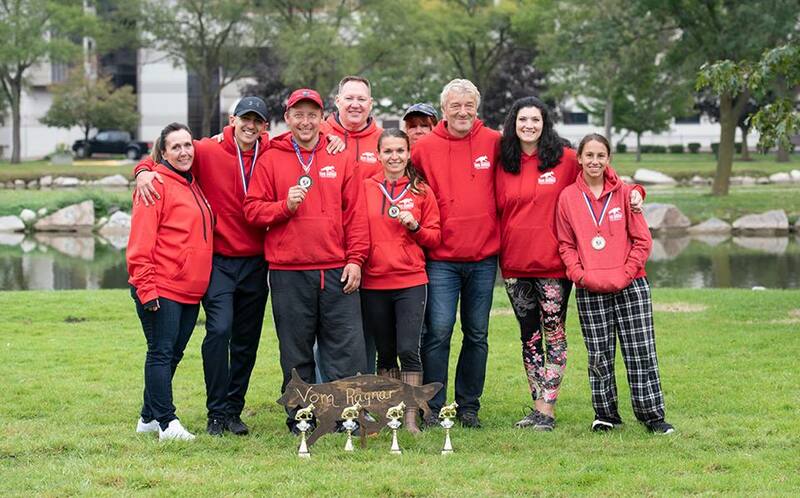 We are Vom Ragnar, a passion breeder, and we are committed to offering our future puppies owners or puppies lover with excellent German Shepherd puppies for sale with a dedication to increasing the quality of puppies with each selective breeding. Our German Shepherd litters of Puppies for sale are excellent with kids and other pets and of course, perfect for the families. Our puppies have super temperament character. The rich black and red color and of course is pure breed, German Shepherd. As a German Shepherd breeder, we are not like other German Shepherd Breeders, we breed world class German Shepherd dogs from West German show lines. We specialize in German Shepherd litters of Puppies for sale for Family, companionship show dogs or working dogs. We are now can ship our German shepherd litters of puppies, young dogs or adult dogs for sale worldwide. We are a German Shepherd breeder located in the famous state of Illinois, United States. We sold many Show Quality, Personal Security, for Family Protection, for Family Protection, Search & Rescue, Guard Dogs, Seeing Eye Dogs, Professional Dog Training, Stud Service and Pet Quality, K-9 police force. For more information about seeing our puppies at kennel facility, please complete the form to make an appointment or simply call us at 815.245.0923 or alternative call 773.552.0808 for a quick response.